...Not only structural member must withstand the impact of earthquake but also the owner should consider seismic zones equipment needs for the building. Seismic zones equipment needs should not be overlooked, since impact of earthquake can create numerous hazard situations that can injury and even kill occupants before and after the earthquake wave. For example, if there is a fuel tank of some sort as part of the design in or around the building, the entire system must be seismically certified. In the event of an earthquake when power source could be non operational, emergency power systems must be in place, especially for those owners that critically need it; for example, in health-care settings special code-compliant backup power system must be in place. As part of seismic zones equipment needs, it is required that lighting fixtures that are lay-in tile ceiling system must be independently supported directly from the structure and be supported by building's support ceiling grid system. 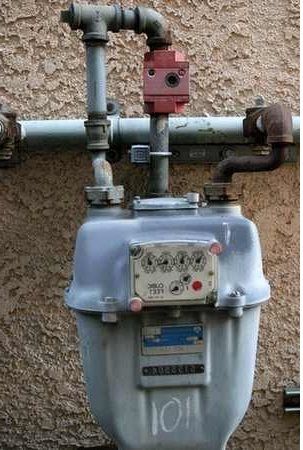 The system must be sway-braced from at least two points of connection. A HVAC system is another concern in seismic zones equipment needs. 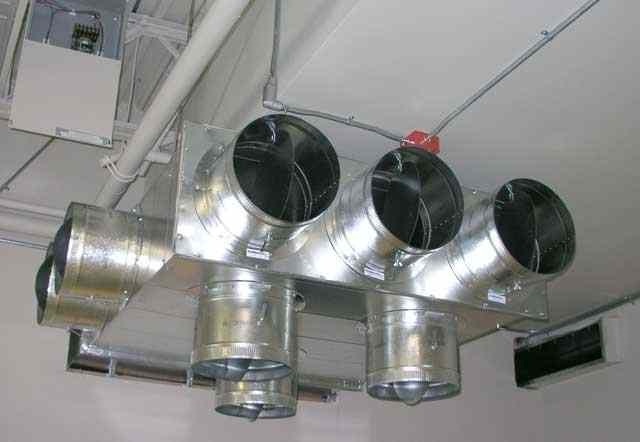 Proper bracing of round duct with diameter of 28 in and larger must be made. 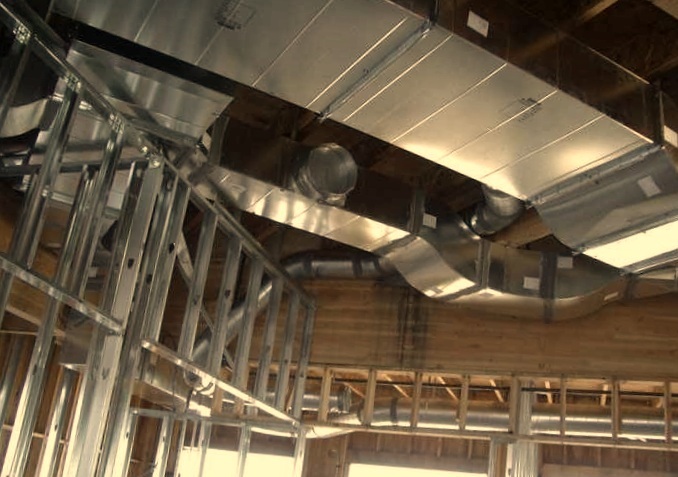 When duct work is unbraced, it must be installed with at least 6 in of clearance to ceiling-hanger wires. 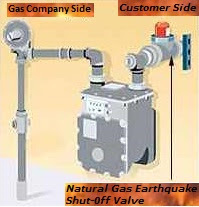 Proper Anchor bolts must be used to support equipment to prevent a pullout from earthquake effect. 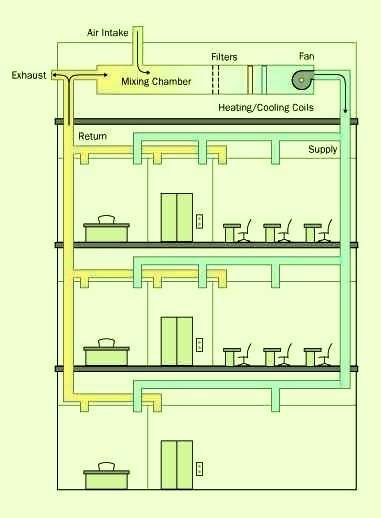 Fans, pumps, and a like, must have housing to resist lateral load forces from an earthquake. 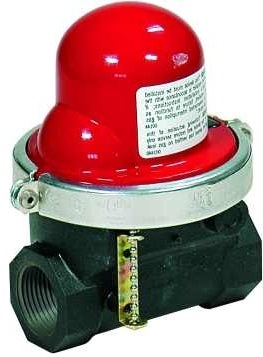 Seismic Gas Shutoff Valve 60 psi Horizontal NPT 3/4"